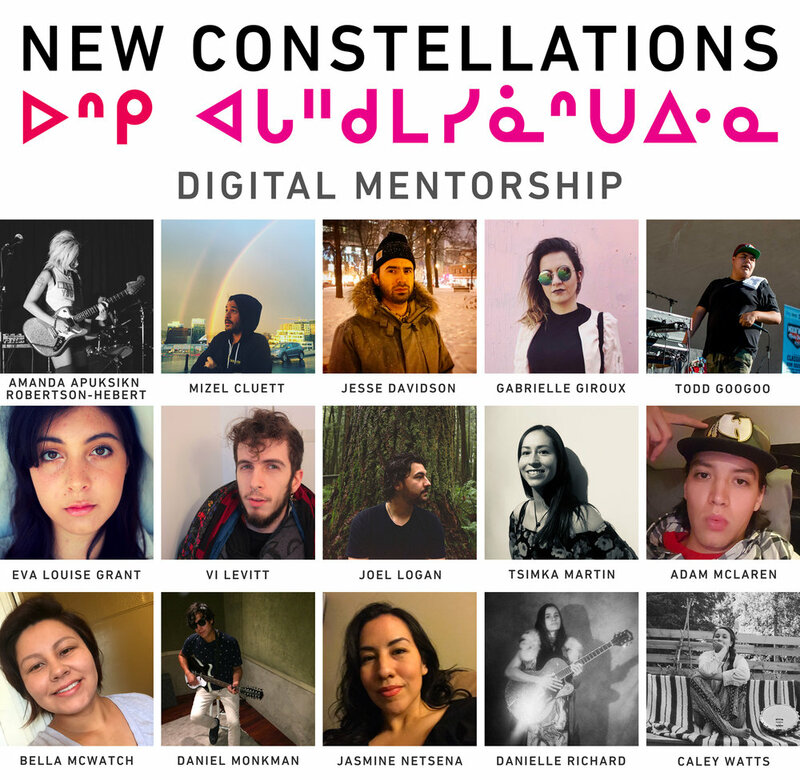 After reviewing an amazing set of music submissions from Indigenous musicians across the country, we are so pleased to finally share the wonderfully talented group of emerging artists selected for our Digital Mentorship program! Over the next few weeks, these 15 Indigenous artists will participate in a unique program to work on their music in dialogue, conversation, and with guidance from an incredible group of mentors, including: DJ NDN, Iskwé, Jasmyn Burke (Weaves), Lido Pimienta, Moe Clark, Narcy, Raphaelle Standell-Preston (Blue Hawaii/Braids) and Shad. Each mentor will work with two mentees to develop and give one-on-one feedback on their songs and sound. We can’t wait to hear what they come up with together! Following the completion of the Digital Mentorship we will be sharing some of the music that was created and developed during the program. We’ll have more information on that in the new year. Congratulations to all of the participating artists and chi miigwech to everyone who applied! New Constellations is presented with support from the National Centre for Truth and Reconciliation at the University of Manitoba and the Government of Canada.